The Dodgers put together an unbelievable win tonight in Colorado at Coors Field. Trailing 5-3 with two outs in the eighth inning, Matt Kemp gapped a double off Seungwhan Oh. The next at-bat was Cody Bellinger; who got his biggest hit and home run of the season to tie the game at 5-5. Here’s Bellinger’s 19th round-tripper of the year, this one coming at altitude. 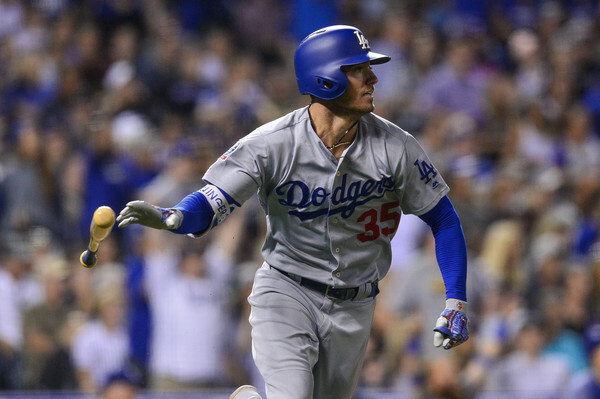 From there, the Dodgers got solid relief from Caleb Ferguson and added home runs from Chris Taylor and Brian Dozier in the top of the ninth. Scott Alexander picked up the save in Kenley Jansen’s absence (heart arrhythmia). Los Angeles moved back into first place with this win, tied again with Arizona.